On January 24th, Theatre Gigante completed its residency at Grinnell College, which included four class visits and discussions with students, two master classes, dinners and lunches with students and faculty, and a performance by Gigante (and Grinnell’s Professor Emeritus of Theater, Sandy Moffett) of Spalding Gray: Stories Left To Tell in the Flanagan Arena Theatre. The performance was followed by a lively reception in the lobby of the Bucksbaum Center for the Arts. Gigante thanks Grinnell College, the Donald L. Wilson Program in Enterprise and Leadership, Grinnell Theatre & Dance Professors – Justin Thomas, Craig Quintero, Celeste Miller, Lesley Delmenico; Professor of Economics Bill Ferguson, Professor Emeritus of Anthropology Douglas Caulkins, and the exquisite students, for the warm, generous, and inspiring exchange that successfully took place between Grinnell and Gigante! 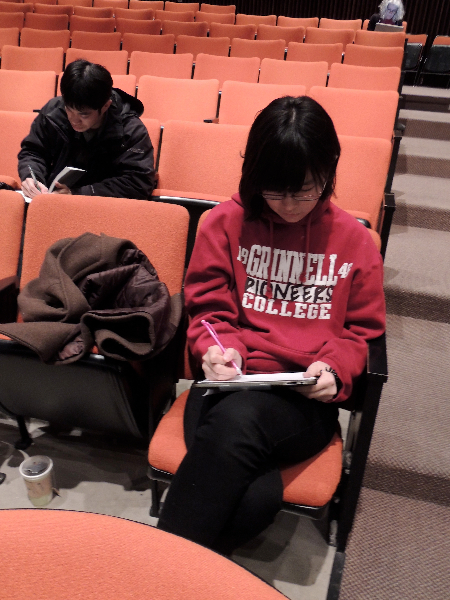 To see photos from the residency, follow this link. Theatre Gigante is thrilled to bring its acclaimed production of Spalding Gray: Stories Left To Tell, created by Kathie Russo and Lucy Sexton, to Grinnell College (Iowa) for a January residency, which will also include teaching classes, and gatherings with Grinnell faculty and students. 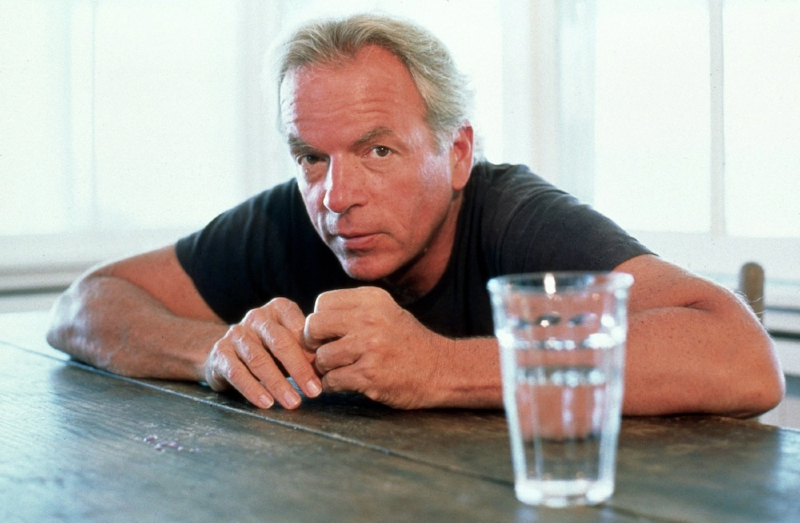 As Gigante remembers Spalding Gray, ten years after his death, Grinnell has graciously expressed that, with this residency, they are also celebrating Theatre Gigante’s 26 years of existence.